Indegy was recognized by Gartner as a "Cool Vendor" for Industrie 4.0. We are honored and proud of this accomplishment. The “Cool Vendor” designation is the latest milestone in the global recognition Indegy has received in the past 18 months, that includes being named a top-10-startup by Forbes, several Cyber Defence Magazine awards, and more. Each year, Gartner identifies “Cool Vendors” in key technology areas and publishes a series of research reports highlighting interesting, new and innovative vendors, products, and services. Today, when most OT networks are susceptible to cyber threats because they are increasingly exposed to the internet and external threats, it’s important for you to choose a vendor you can trust to assist you in the overcoming the challenges posed by emergence of IIoT and Industrie 4.0. Although they provide many benefits like enabling better predictive analysis, improving supply chain logistics and increasing the efficiency of manufacturing processes, IIoT and Industrie 4.0 introduce connectivity that also exposes OT environments to cyberthreats.The “Cool Vendor” designation is the latest milestone in the global recognition Indegy has received in the past 18 months, that includes being named a top-10-startup by Forbes, several Cyber Defence Magazine awards, and more. The IT/OT convergence is not only propelling the Fourth Industrial Revolution, but has created new risks to both enterprise IT and industrial control systems. These risks need to be mitigated by teams on both the IT and OT sides of the house. 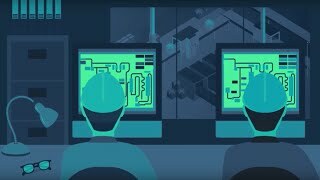 Ensuring the security of industrial networks is a prerequisite for successful Industrie 4.0 initiatives. According to Gartner, cyber security concerns are one of the top three barriers to the success of an organization's IoT activities. Indegy’s patent pending technology uses an in depth approach that can identify anomalies, malicious activities and unauthorized access from early in the reconnaissance phase and through the attack phase, providing real-time alerts that detail the source of unauthorized activities, impacted devices, and the nature of activity. This deep, real-time visibility enables staff to quickly pinpoint the source of problems and effectively respond to incidents to minimize their impact. Indegy also provides a comprehensive audit trail covering all access routes to critical devices, including network and direct physical access, enabling organizations to track and supervise all activities and provide forensic support. To ensure complete visibility and situational awareness, Indegy automatically discovers all critical control assets and provides an up-to-date asset inventory. Vulnerability assessment scans ensure organizations are always aware of their ICS risk posture. But don’t take my word for it - contact us today and schedule a demo to learn how our leading Industrial Cyber Security Solution can help your organization monitor and protect its operational assets from cyber attacks, insider threats and even human error. I think you’ll agree with Gartner that we are in fact a “Cool Vendor”.